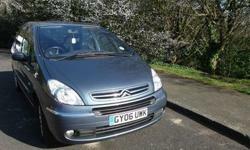 2005 Citroen xsara Picasso desire 2.0 hdi diesel. I have owned since 2010. Only selling as kids have own cars now so downsizing. 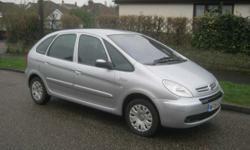 Reliable with some service history, drive well, very smooth and comfortable ride. 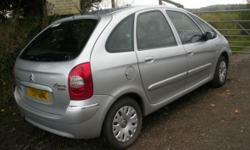 3 separate rear seats which can be folded forward or removed to increase boot size. 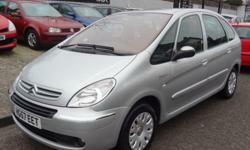 Citroen Xsara Picasso Desire 1.6 HDI 110bhp 2006 LOW MILEAGE!!!! !